Dr. Gillespie is an internationally recognized authority in composites. Dr. Gillespie has served the University of Delaware in several roles since 1981, joining Material Science and Engineering in 1994, achieving the position of Director of the Center for Composite Materials in 1996 and being named the Donald C. Phillips Professor of Civil and Environmental Engineering in 2005.He received his degrees in Mechanical Engineering from the University of Delaware, and holds joint appointments in the Department of Civil and Environmental Engineering and the Department of Mechanical Engineering.” He leads four Centers of Excellence in Composites on processing, mechanics and performance of multifunctional composite materials and an industrial consortium with more than 60 companies conducting research at the forefront of the science of composites that address real-world engineering problems. 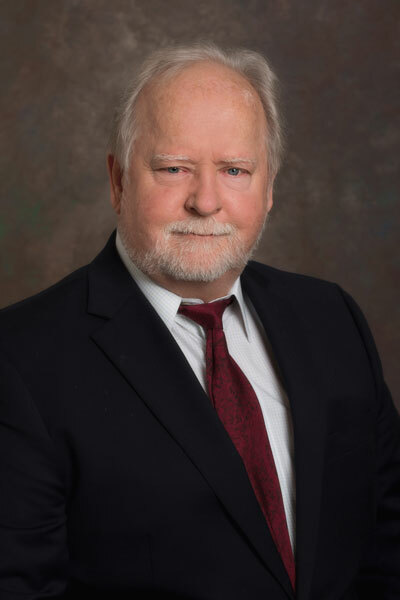 He has served as a member of the influential National Research Council Board on Manufacturing and Engineering Design, and Chair of the National Materials Advisory Board Committee on High-Performance Structural Fibers for Advanced Polymer-Matrix Composites. He has been Editor of the Journal of Thermoplastic Composite Materials since 1993, and he serves on numerous international editorial boards. Dr. Gillespie was awarded the U.S. Army`s Paul A. Siple Memorial Award in 1998 for his research on processing of multifunctional armor materials. The prestigious Jud Hall Composites Manufacturing Award was bestowed in 2000 by the Composites Manufacturing Association of the Society of Manufacturing Engineers. He was also one of only six individuals elected to the 2013 Society of Manufacturing Engineers College of Fellows. In 2015, he was one of four elected as a Fellow of SAMPE. Dr. Gillespie has co-authored more than 800 publications and 17 patents. He has graduated 56 Master`s and 38 Ph.D. students, of which 9 are currently faculty members at other universities. His research interests include processing-structure- property relationships, interphase and adhesion science, mechanical properties and durability and multi-scale modeling of composites. Tamrakar, S., B. Haque, J. W. Gillespie, Jr., “High Rate Test Method for FiberMatrix Interface Characterization,” Polymer Testing, Submitted January 2016. Sockalingam, S. R. Bremble, J. W. Gillespie, Jr., and M. Keefe, “Transverse Compression Behavior of Kevlar KM2 Single Fiber,” Composites Part A: Applied Science and Manufacturing, 81, pp. 271 – 281, February 2016. Sockalingam, S., J. W. Gillespie, Jr., and M. Keefe, “Fiber Length Scale Modeling of Kevlar KM2 Yarn Subjected to Transverse Impact,” International Journal of Solids and Structures, Submitted June 2015. Haque, B. Z., S. C. Chowdhury, and J. W. Gillespie, Jr., “Molecular Simulations of Stress Wave Propagation and Perforation of Graphene Sheets under Transverse Impact,” Carbon, Submitted November 2015. Misumi, J., R. H. Ganesh, S. Sockalingam, and J. W. Gillespie, “Experimental Characterization of Tensile Properties of Epoxy Resin by Using Micro Fiber Specimens,” Journal of Reinforced Plastics and Composites, Submitted December 2015. Yarns and Flexible Textile Fabrics – A Review,” Textile Research Journal, Submitted 2015. Zhang, D., D. Heider, and J. W. Gillespie, Jr., “Determination of Void Statistics and Statistical Representative Volume Elements (SRVE) in Carbon Fiber Reinforced Thermoplastic Prepregs,” Journal of Thermoplastic Composite Materials, DOI: 10.1177/0892705715618002. McDaniel, P. B., J. M. Deitzel, and J. W. Gillespie, Jr., “Structural Hierarchy and Surface Morphology of Highly Drawn Ultra High Molecular Weight Polyethylene Fibers Studied by Atomic Force Microscopy and Wide Angle X-Ray Diffraction,” Journal of Polymer Research, Accepted May 2015. Sockalingam, S., J. W. Gillespie, Jr., and M. Keefe, “Dynamic Modeling of Kevlar KM2 Single Fiber Subjected to Transverse Impact,” International Journal of Solids and Structures, Accepted May 2015, http://dx.doi.org/10.1016/j.ijsolstr.2015.04.031. Chowdhury, S. C., S. R. Swenson, B. Z. Haque, and J. W. Gillespie, Jr., “Molecular Dynamics Simulations of Singe-walled Carbon Nanotube Bundle under Mechanical Loading,” FEATURE ARTICLE. SAMPE Journal, 51 (3), May/June 2015. Mechanical Properties of Glass Fiber Reinforced Epoxy Composite,” Composites Part A, Pll: S1359-835X(15)00112-8 DOI: http://dx.doi.org/10.1016j.compositesa.2015.03.023. Abu Obaid, A., S. Yarlagadda, and J. W. Gillespie, Jr., “Combined Effects of Kink Bands and Hygrothermal Conditioning on Tensile Strength of Polyarylate LCP and Aramid Fibers,” Journal of Composite Materials, DOI : 10.1177/0021998315574754, March 2015. 10. Kelly, G. S., S. G. Advani, and J. W. Gillespie, Jr., “A Model to Describe Stick-slip Transition Time During Ultrasonic Consolidation,” International Journal of Advanced Manufacturing Technology, DOI 10.1007.s00170-015-6939-z, March 2015. Sahin, O. S., Koellhoffer, S., J. W. Gillespie, Jr., Advani, S. G., and T. Bogetti. “Thermal Modeling During Continuous Ultrasonic Welding,” Turkish Journal of Engineering and Environmental Sciences, 38, pp. 79-96, November 21, 2014. McAllister, Q. P., J. W. Gillespie, Jr. and M. VanLandingham, “The Energy Dissipative Mechanisms of Particle-Fiber Interactions in a Textile Composite,” Journal of Composite Materials, DOI: 10.1177/0021998313511651, 2013. Lopatnikov, S. L. and J. W. Gillespie, Jr., “Simple Analytical Model for Fiber Tensile Failure due to Droplet Impact,” J. Appl. Phys., DOI: 10.1063/1.4863207, 115 (6), Feb. 2014. Dey, M., J. Deitzel, J. W. Gillespie, Jr., and S. Schweiger, “Influence of Sizing Formulations on Glass/Epoxy Interphase Properties,” Composites Part A, dx.doi.org/10.1016/j.compositesa.2014.04.006, 63, pp 59-67, 2014. Sockalingam, S., J. W. Gillespie, Jr., and M. Keefe, “On the Transverse Compression Response of Kevlar KM2 using Fiber-level Finite Element Model,” International Journal of Solids and Structures, DOI: 10.1016/j.ijsolstr.2014.03.020; 51 (13) pp. 2504-2517, May 2014. Kelly, G. S., M. S. Just, S. G. Advani, and J. W. Gillespie, Jr., “Energy and Bond Strength Development during Ultrasonic Consolidation,” Journal of Materials Processing Technology, Journal of Materials Processing Technology, 214, pp. 1665-1672, March 2014. Chowdhury, S. C., B. Z. Haque, and J. W. Gillespie, Jr., “Molecular Simulations of the Carbon Nanotubes Intramolecular Junctions under Mechanical Loading,” Computational Materials Science, 82, pp. 503 – 509, Feb. 2014. Sockalingam, S., M. Dey, J. W. Gillespie, Jr. and M. Keefe, “Finite Element Analysis of the Microdroplet Test Method using Cohesive Zone Model of the Fiber / Matrix Interface,” Composites Part A: Applied Science and Manufacturing doi.org/10.1016/j.compositesa.2013.10.021, 56 (2) pp. 239 – 247, Jan. 2014.